While energy chews and energy blocks are more often considered in the realms of endurance sports like running and cycling, my reason for reviewing this type of product on a hiking website is that I’m in the process of planning a long distance thru hike with consecutive days of big distances. From monitoring myself over the past few years on how my body reacts to big days on the trail, there are days where I can burn around 8000+ calories. So sometimes I just need an energy boost and products such as these come in handy. 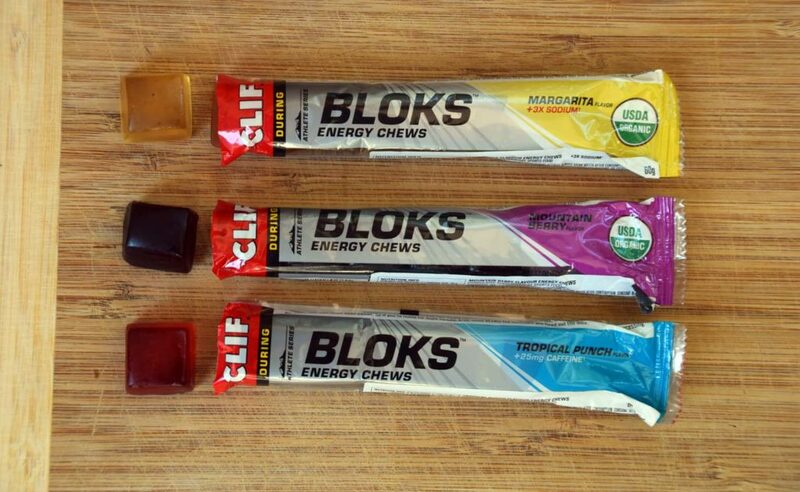 I recently reviewed the GU Energy Chews and in trying this product from Clif I expected there to be a high degree of similarity between the two products with only taste separating them. What I found was while these two products are very similar, there is a difference that means I am likely to use both on a long hike for different reasons. 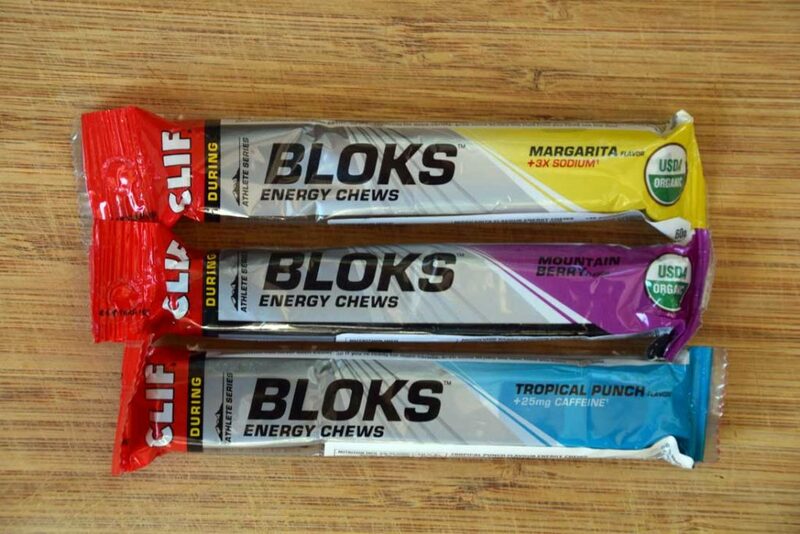 The Clif Shot Bloks can best be described as large soft jubes. That’s what they look like and in many respects it’s what they taste like as well. The three flavours I tried were Margarita, Mountain Berry and Tropical Punch. He said: Lemon taste with a bit of salt. She said: More sour than lemon. He said: A bit non descriptive but definitely a berry taste. She said: Subtle and my favourite, not plastic tasting like some others. He said: Definitly a tropical flavour, stronger than the others in taste. This one contains 25mg of caffeine for that extra energy boost. The 60 gram packets contain 10 servings but each individual jube is considered a serving as opposed to the GU product which calls a serving multiple jubes. As I get up at 4:30am each morning and have done for over 20 years, I tend to hit a wall in the afternoon at work and will usually go for something like chocolate but I tried these as an alternative. What I found with these products from my own personal experience is they don’t provide the degree of energy hit that the GU Energy Chews do but instead provide a longer slower burn of energy. This can either be a good thing or a bad thing, depending on what you are trying to achieve. In consuming this product over a period of days I also didn’t find any adverse digestive responses which is something I wanted to confirm before committing these to a hike. Having said that this should be something you test out and see what your response would be. One slight negative is that they are a bit stickier than the GU product but this is the only real issue. So would I use this product? The answer is yes but on days when I’m just trying to maintain my energy rather than seeking a boost. For the days when I need an instant hit I would opt for the GU product.